Low BP (Blood Pressure) is a condition in which pressure of blood on the walls of arteries is lower due to some reason. There may be several reason behind this condition. Here we will discuss the symptoms, causes and some home remedies (treatment) for Low BP. If you feel the symptoms of low BP then you should immediately get it checked and get its treatment. How much BP is considered Low ? There are two readings taken while measuring the BP. First is called Systolic, which means the pressure on arteries when heart pumps the blood. Second is Diastolic, which is pressure on arteries while heart relaxes. The normal BP is 120 / 80 for an average human being. Here 120 is Systolic and 80 is Diastolic. If it goes below 90 / 60 then its consider as Low BP. Even if any one of the reading goes below the mentioned limit then its considered as Low BP. For example if the BP is measured 115 / 50 then it is Low BP. Do you have a family history of hypertension / heart attack / stroke ? 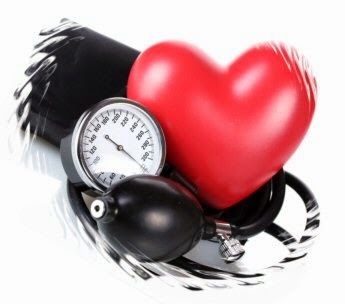 Low BP can be caused due to some medical conditions and some medications as well. We will mention both of these. Pregnancy: The expansion of circulatory system of mother due to presence of baby causes the BP to drop. It becomes normal after giving birth. Heart problems: Heart Attack, heart valve problems and some other heart problems can lower the BP. Endocrine problems: Some Thyroid conditions, adrenal insufficiency (Addison's disease), low blood sugar (hypoglycemia) and diabetes can cause Low BP. Dehydration: During Dehydration your body loses more water than it takes in. Even the water in the Blood is reduced leading to lower blood volume which leads to lower BP. It is called hypovolemic shock which can even cause death. Septic Shock: When an infection in body enters the blood stream (called Septicemia) then it can lower the BP to a life-threatening level called Septic Shock. Severe Allergic Reaction: Anaphylaxis ( a severe and potentially life-threatening allergic reaction) can cause breathing problems, hives, itching, a swollen throat and a drop in blood pressure. Lack of nutrients in your diet: A lack of the vitamins B-12 and folate can cause decrease in umber of red blood cells resulting in anemia and causing Low BP. Low BP is also called Hypotension. There are various types of Low BP which are described below. These types may also help you understand Low BP. Orthostatic or Postural Hypotension: Low BP on standing up from a lying position. It causes dizziness and blurred vision. Its due to lack of blood supply to brain as more blood flows towards legs due to gravity. Postprandial Hypotension: It is Low BP after eating. Higher amount of blood flows towards digestive system after eating. Usually heart rate increases after eating, but it doesn't in people suffering from Postprandial Hypotension. Multiple System Atrophy with Orthostatic Hypotension: It is Low BP due to nervous system damage. These home remedies can work if you are not a severe patient of Low BP. You may try it, but if you facing Low BP problem again and again then its better to consult a doctor and get it diagnosed. Salt Water: Sodium in Salt increases the BP. Coffee: Its a temporary treatment of Low BP but don't become habitual of it as there are some side effects of caffeine. Raisins: Its an Ayurvedic treatment. Soak 30 to 40 Raisins in water overnight and take them in morning one by one. You may also drink the water in which raisins were soaked. Holy Basil: Holy Basil contain Vitamin C, Magnesium, Potassium, and Pantothenic Acid which are benefitial for Low BP patients. It also reduces stress and calms the mind. Licorice root: If your low BP is caused due to low level of Cortisol then Licorice Root can benefit you. You can prepare Licorice root tea by boiling one teaspoon of Licorice root (dried or powdered) in a cup water for five minutes. Almonds: Soak five almonds in water overnight, peel off them in morning. Make a paste of them and then boil it with a cup milk. Drink one-cup every day. Carrot Juice: Drinking one glass of carrot juice with two teaspoons of honey twice daily can improve your Low BP.